The Northern Lights series promises to be one of the best ever from Fallkniven with a considerable number of models dedicated to the gods of Nordic lore. The NL3 is no exception since it bears the name of the God, Njord who was the god of fertility in the Norse sagas and who belonged to the Vanir clan. He was also the god of fishermen and sailors and the ruler of beaches and coasts. 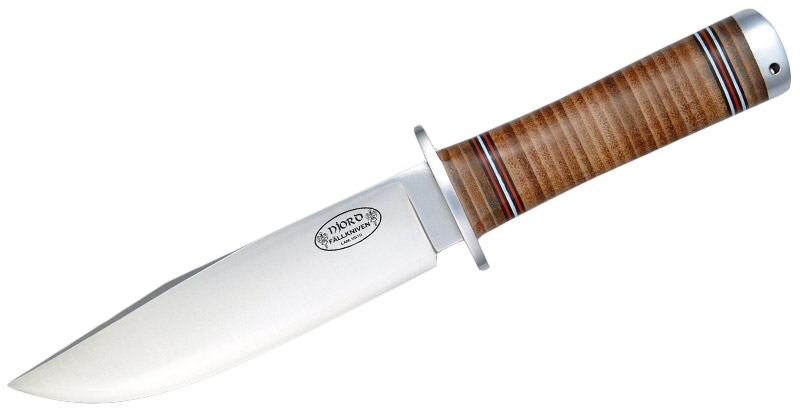 The Norrsken series NL3 is a knife with a difference since it is strong, well balanced and is truly a joy to handle. 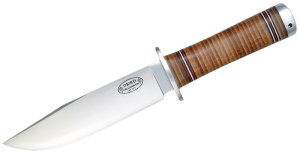 It is pretty hard to find an all-round knife which is also so attractive with its main strength lying of course in the laminated VG-10 steel, a revolutionary product from Fallkniven. The knife is also pretty easy on the eye and also easy to use. The VG10 steel is a laminated type of steel that brings together all the qualities which one can want for in a blade. The edge is made of VG10 steel while the sides are made out of the 420J2 steel which is also extremely strong and durable. And with the laminated technology used, this blade is actually around one fifth stronger than other VG10 steel blades. This blade surely has a quality which no other knife manufacturer can follow apart from Fallkniven. The handle of the NL3 is also something special since it consists of ox hide that is chosen appropriately for this purpose, a material which is often overlooked by knife manufacturers. The hide gives an extremely solid as well as rugged grip and also ages quite beautifully with an attractive brown colouring accumulated over the years. The ox hide is also unaffected by oils and other liquids and is also fully water resistant. The NL3 also includes a convex edge blade which can be described as combining the best performance with regards to cutting as well as the strength of the edge which is unparalleled. It is a known fact that a knife with such characteristics can only be painstakingly made manually with most of the knives today being made mechanically. In fact most knife manufacturers use CNC machines which can churn out thousands of blades a day but which are obviously not the real deal when it comes to quality. You cannot match a knife which has been painstakingly produced by a traditional knife maker and that is what the NL series is all about. With a black leather sheath of the highest quality, the NL3 is a knife that brooks no compromises on quality so you have a bit of a long wait to get it shipped to your home. But that is surely a small price to pay when such power and beauty is on offer as with the Northern Lights series.